FHA home loan programs are easy to qualify for because bad credit is allowed and virtually no equity is required to refinance. Government home financing has become very popular as the FHA loan programs have expanded for first time home buying and refinancing opportunities. Over the last three decades, no finance vehicle has help more first time homebuyers than the FHA loan programs. FHA mortgage programs continue to evolve with cash out refinancing, home rehabilitation and energy efficient initiatives. 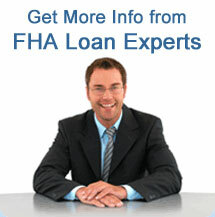 Our FHA Loan Company assists consumers with government loan programs for refinance and purchase. Homebuyers need to come up with 3% to finance the specified home. Borrowers can take out FHA loans up to $729,750 if you are buying in one of the more expensive neighborhoods. Over the last few years, HUD has implemented significant changes to the FHA loan programs. Just a few years ago, the maximum loan amount for FHA insured amount was only at $362,790. Congress finally passed the bill approving FHA Loan Limits for 2013 and 2014. Buy a home with only a 3.5% down-payment. Finance home remodeling and energy efficiencies. Renegotiate your rate if you do not qualify for a FHA refinance. Some recent changes to the FHA loan program to note: FHA home purchase loans require a 3.5% down-payment. Last year the maximum loan to value was 97% and now it is 96.5%. The FHA streamline refinance program now prohibits borrowers from financing the lender closing costs. FHA streamline borrowers will now have to pay for their closing costs out of their pocket. In other FHA news, the House Approves Bill to Raise FHA Insurance Premiums. This measure would gradually raise the insurance premium from 0.5% to 0.85% and then to 0.9%. Getting approved for a home purchase or refinance loan from a conforming loan company can be challenging but with government inspired mortgage relief, the FHA loan program has suddenly become a cost-effective option for millions of American consumers. Borrowers may be eligible for expanded credit guidelines and new bad credit mortgage loan programs. If you are considering a FHA loan program, you will need to document your income, employment and in most cases the proposed mortgage payments must be less than 43% of their gross income after monthly expenses like car payments and credit card bills. FHA streamline loans were created to simply the refinancing process for borrowers who already have a FHA loan. The Streamline eliminated the pre-payment penalty and cut through the time consuming steps like appraisals. Rate & Term Refinance with FHA Mortgage can be taken out to 96.5% Loan to Value if you only need to revise your 1st or 2nd mortgage. Cash Out Refinance Loans - can be taken out to 85% Loan to Value if you need additional cash beyond the mortgage refinance. If you need to consolidate unsecured debt, then you will need a "cash out" loan. Many distressed homeowners are unable to meet the requirements for a FHA mortgage refinance. Consider Hope for Homeowners, the FHA Short Refinance and HAMP if you need relief or a refinancing alternative. This is not a commitment to lend. Certain restrictions may apply on FHA loan programs.